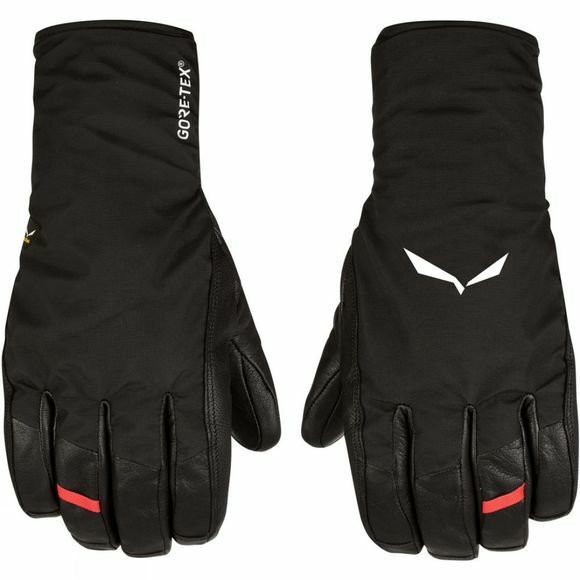 The Ortles GTX Grip Glove from Salewa is a waterproof, abrasion resistant, warm and breathable glove for mountaineering and glacier crossing with a durable goatskin leather palm, reinforced grip and Gore-Tex glove insert. Tirol Wool Celliant thermo-reflective insulation reflects radiant heat to keep your hands warmer for longer. The anatomically pre-shaped hand and 3-D thumb design provide superior dexterity while the Gore grip technology finger and thumb reinforcement ensures a secure grip.